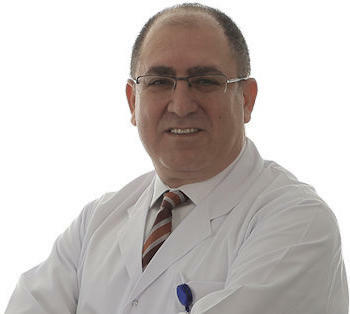 Prof. Reha N. Tandoğan, M.D. 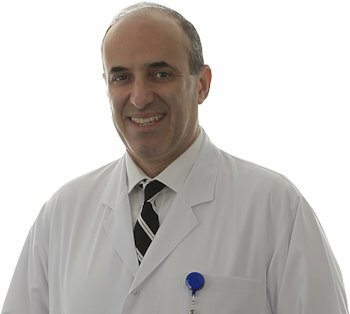 Our outpatient clinical office was founded in 2007 by Prof. Reha Tandogan M.D. and Asim Kayaalp M.D. The synergy created by the surgical / academic experience of Prof. Tandogan as the former head of the Department of Orthopedics & Traumatology and the Department of Sport Sciences of Baskent University, combined with the clinical experience of over 20.000 orthopedic surgeries performed in Çankaya Hospital by Dr. Kayaalp form the basis of this partnership. Over 11000 patients have been treated in our clinic since its inception. The main interest of both surgeons are arthroscopic and reconstructive (arthroplasty) surgery of the knee, shoulder, hip and ankle. Both surgeons have served as presidents of the Turkish Society of Sports Traumatology; both have served as board members of the Turkish Society of Sports Traumatology, Knee Surgery and Arthroscopy (TUSYAD). Both surgeons are active instructors of arthroscopic joint surgery and lecture extensively on the national and international level. Dr. Tandogan is currently the president of the Cartilage Repair Committee of TUSYAD, while Dr. Kayaalp is the president of the Anterior Cruciate Ligament Surgery Committee of TUSYAD. Drs. Kayaalp and Tandogan are among the founding board members of the Society of Preventive Hip Surgery, focusing on hip arthroscopy and hip preserving surgery. Both surgeons are senior partners in Çankaya Orthopedic Group, consisting of 10 orthopedic surgeons and one neurosurgeon. Various members of the group cover all subspecialties of orthopaedic and trauma surgery, including adult reconstructive (arthroplasty) surgery, orthopedic trauma, foot and ankle surgery, spine surgery, orthopedic oncology and pediatric orthopedics. International patients are welcome in our clinic. Both surgeons are fluent in English and basic French is also spoken. Should hospitalization and surgery be required, international patients are treated in Private Çankaya Hospital. Çankaya Hospital has been accredited by JCI (Joint Commission International) and has facilities and staff to serve international patients. The operating theaters of Çankaya Hospital are recognized as a center of excellence for orthopedic surgery. © Written and visual content in our website cannot be copied and/or used without permission.